Congratulations! You found a great job opportunity, made it through several rounds of interviews, and have been offered the position. Now, there’s only one thing standing between you and the next chapter of your career - salary negotiation. As a talented professional, your skills are in hot demand, so don’t settle for anything less than you deserve. 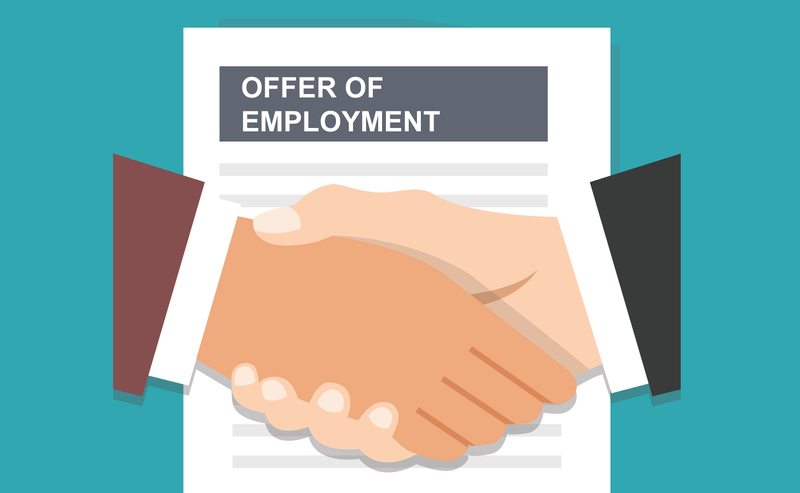 Here are 5 salary negotiation tips to assist you when you receive a job offer. You won’t know if a salary offer is reasonable unless you find your fair market value. Use sites like the Bureau of Labor Statistics and Salary.com to learn what other professionals in the area with your credentials and level of experience are earning. If the number is below this level, present your research to the company to make your case that it isn't currently in line with market value. Most employers are prepared to negotiate salary, so in order to play the game, you may need to inflate your salary expectations for the first round. When the company counters — which will most likely happen — meeting in the middle will actually be the number you hoped to receive all along, so everyone gets their way. The process of salary negotiation can be incredibly frustrating, but try not to take things too personally. If you become demanding or behave in an otherwise disrespectful manner, the company has every right to rescind the offer. You may ultimately pass on the job because of an inability to reach a salary agreement. However, you still want to leave things on amicable terms and make the decision yours — not theirs. When you partner with a recruiter, you gain not only their assistance finding a job, but also their guidance and help during the job offer phase. Recruiters place a large number candidates in various fields, which helps them have inside knowledge regarding the market and a fair offer. This knowledge can be invaluable to you and your career, so be sure to leverage it whenever possible. Should You Negotiate Salary During an Interview? Want to find a new accounting or finance job with a leading employer in the Washington, DC Metropolitan Area? Contact Sparks Group. Our skilled Accounting & Finance recruiters are here to connect you with temporary, contract, contract-to-hire and direct hire opportunities designed to fit your career goals.